The audit opinion is intended to provide reasonable assurance, but not absolute assurance, that the financial statements are presented fairly, in all material respects, and/or give a true and fair view in accordance with the financial reporting framework. The purpose of an audit is to provide an objective independent examination of the financial statements, which increases the value and credibility of the financial statements produced by management, thus increase user confidence in the financial statement, reduce investor risk and consequently reduce the cost of capital of the preparer of the financial statements. In accordance with the US GAAP, auditors must release an opinion of the overall financial statements in the auditor's report. Auditors can release three types of statements other than an unqualified/unmodified opinion. The unqualified auditor's opinion is the opinion that the financial statements are presented fairly. A qualified opinion is that the financial statements are presented fairly in all material respects in accordance with US GAAP, except for a material misstatement that does not however pervasively affect the user's ability to rely on the financial statements. A qualified opinion can also be issued for a scope limitation that is of limited significance. Further the auditor can instead issue a disclaimer, because there is insufficient and appropriate evidence to form an opinion or because of lack of independence. In a disclaimer the auditor explains the reasons for withholding an opinion and explicitly indicates that no opinion is expressed. Finally, an adverse audit opinion is issued when the financial statements do not present fairly due to departure from US GAAP and the departure materially affects the financial statements overall. In an adverse auditor's report the auditor must explain the nature and size of the misstatement and must state the opinion that the financial statements do not present fairly in accordance with US GAAP. Financial audits are typically performed by firms of practicing accountants who are experts in financial reporting. The financial audit is one of many assurance functions provided by accounting firms. Many organizations separately employ or hire internal auditors, who do not attest to financial reports but focus mainly on the internal controls of the organization. External auditors may choose to place limited reliance on the work of internal auditors. Auditing promotes transparency and accuracy in the financial disclosures made by an organization, therefore would likely reduce such corporations concealmeant of unscrupulous dealings. Internationally, the International Standards on Auditing (ISA) issued by the International Auditing and Assurance Standards Board (IAASB) is considered as the benchmark for audit process. Almost all jurisdictions require auditors to follow the ISA or a local variation of the ISA. The Big Four are the four largest international professional services networks, offering audit, assurance, tax, consulting, advisory, actuarial, corporate finance, and legal services. They handle the vast majority of audits for publicly traded companies as well as many private companies, creating an oligopoly in auditing large companies. It is reported that the Big Four audit 99% of the companies in the FTSE 100, and 96% of the companies in the FTSE 250 Index, an index of the leading mid-cap listing companies. The Big Four firms are shown below, with their latest publicly available data. None of the Big Four firms is a single firm; rather, they are professional services networks. Each is a network of firms, owned and managed independently, which have entered into agreements with other member firms in the network to share a common name, brand and quality standards. Each network has established an entity to co-ordinate the activities of the network. In one case (KPMG), the co-ordinating entity is Swiss, and in three cases (Deloitte Touche Tohmatsu, PricewaterhouseCoopers and Ernst & Young) the co-ordinating entity is a UK limited company. Those entities do not themselves perform external professional services, and do not own or control the member firms. They are similar to law firm networks found in the legal profession. In many cases each member firm practises in a single country, and is structured to comply with the regulatory environment in that country. In 2007 KPMG announced a merger of four member firms (in the United Kingdom, Germany, Switzerland and Liechtenstein) to form a single firm. Ernst & Young also includes separate legal entities which manage three of its four areas: Americas, EMEIA (Europe, The Middle East, India and Africa), and Asia-Pacific. (Note: the Japan area does not have a separate area management entity). These firms coordinate services performed by local firms within their respective areas but do not perform services or hold ownership in the local entities. This group was once known as the "Big Eight", and was reduced to the "Big Six" and then "Big Five" by a series of mergers. The Big Five became the Big Four after the demise of Arthur Andersen in 2002, following its involvement in the Enron scandal. Costs of audit services can vary greatly dependent upon the nature of the entity, its transactions, industry, the condition of the financial records and financial statements, and the fee rates of the CPA firm. A commercial decision such as the setting of audit fees is handled by companies and their auditors. Directors are responsible for setting the overall fee as well as the audit committee. The fees are set at a level that could not lead to audit quality being compromised. The earliest surviving mention of a public official charged with auditing government expenditure is a reference to the Auditor of the Exchequer in England in 1314. The Auditors of the Imprest were established under Queen Elizabeth I in 1559 with formal responsibility for auditing Exchequer payments. This system gradually lapsed and in 1780, Commissioners for Auditing the Public Accounts were appointed by statute. From 1834, the Commissioners worked in tandem with the Comptroller of the Exchequer, who was charged with controlling the issuance of funds to the government. As Chancellor of the Exchequer, William Ewart Gladstone initiated major reforms of public finance and Parliamentary accountability. His 1866 Exchequer and Audit Departments Act required all departments, for the first time, to produce annual accounts, known as appropriation accounts. The Act also established the position of Comptroller and Auditor General (C&AG) and an Exchequer and Audit Department (E&AD) to provide supporting staff from within the civil service. The C&AG was given two main functions – to authorise the issue of public money to government from the Bank of England, having satisfied himself that this was within the limits Parliament had voted – and to audit the accounts of all Government departments and report to Parliament accordingly. Auditing of UK government expenditure is now carried out by the National Audit Office. The Australian National Audit Office conducts all financial statement audits for entities controlled by the Australian Government. In the United States, the SEC has generally deferred to the accounting industry (acting through various organisations throughout the years) as to the accounting standards for financial reporting, and the U.S. Congress has deferred to the SEC. Accordingly, financial auditing standards and methods have tended to change significantly only after auditing failures. The most recent and familiar case is that of Enron. The company succeeded in hiding some important facts, such as off-book liabilities, from banks and shareholders. Eventually, Enron filed for bankruptcy, and (as of 2006) is in the process of being dissolved. One result of this scandal was that Arthur Andersen, then one of the five largest accountancy firms worldwide, lost their ability to audit public companies, essentially killing off the firm. A recent trend in audits (spurred on by such accounting scandals as Enron and Worldcom) has been an increased focus on internal control procedures, which aim to ensure the completeness, accuracy and validity of items in the accounts, and restricted access to financial systems. This emphasis on the internal control environment is now a mandatory part of the audit of SEC-listed companies, under the auditing standards of the Public Company Accounting Oversight Board (PCAOB) set up by the Sarbanes-Oxley Act. Many countries have government sponsored or mandated organizations who develop and maintain auditing standards, commonly referred to generally accepted auditing standards or GAAS. These standards prescribe different aspects of auditing such as the opinion, stages of an audit, and controls over work product (i.e., working papers). Some oversight organisations require auditors and audit firms to undergo a third-party quality review periodically to ensure the applicable GAAS is followed. Accept Client and Perform Initial Planning. Understand the Client’s Business and Industry. Set Materiality and Assess Accepted Audit Risk (AAR) and Inherent Risk (IR). Understand Internal Control and Assess Control Risk (CR). Test of Control: if the auditor plans to reduce the determined control risk, then the auditor should perform the test of control, to assess the operating effectiveness of internal controls (e.g. authorisation of transactions, account reconciliations, segregation of duties) including IT General Controls. If internal controls are assessed as effective, this will reduce (but not entirely eliminate) the amount of 'substantive' work the auditor needs to do (see below). Substantive test of transactions: evaluate the client’s recording of transactions by verifying the monetary amounts of transactions, a process called substantive tests of transactions. For example, the auditor might use computer software to compare the unit selling price on duplicate sales invoices with an electronic file of approved prices as a test of the accuracy objective for sales transactions. Like the test of control in the preceding paragraph, this test satisfies the accuracy transaction-related audit objective for sales. For the sake of efficiency, auditors often perform tests of controls and substantive tests of transactions at the same time. Assess Likelihood of Misstatement in Financial Statement. At this stage, if the auditor accept the CR that has been set at the phase I and does not want to reduce the controls risk, then the auditor may not perform test of control. If so, then the auditor perform substantive test of transactions. This test determines the amount of work to be performed i.e. substantive testing or test of details. Some audits involve a 'hard close' or 'fast close' whereby certain substantive procedures can be performed before year-end. For example, if the year-end is 31 December, the hard close may provide the auditors with figures as at 30 November. The auditors would audit income/expense movements between 1 January and 30 November, so that after year end, it is only necessary for them to audit the December income/expense movements and 31 December balance sheet. In some countries and accountancy firms these are known as 'rollforward' procedures. After the auditor has completed all procedures for each audit objective and for each financial statement account and related disclosures, it is necessary to combine the information obtained to reach an overall conclusion as to whether the financial statements are fairly presented. This highly subjective process relies heavily on the auditor’s professional judgment. When the audit is completed, the CPA must issue an audit report to accompany the client’s published financial statements. One of the major issues faced by private auditing firms is the need to provide independent auditing services while maintaining a business relationship with the audited company. The auditing firm's responsibility to check and confirm the reliability of financial statements may be limited by pressure from the audited company, who pays the auditing firm for the service. The auditing firm's need to maintain a viable business through auditing revenue may be weighed against its duty to examine and verify the accuracy, relevancy, and completeness of the company's financial statements. This is done by auditor. Numerous proposals are made to revise the current system to provide better economic incentives to auditors to perform the auditing function without having their commercial interests compromised by client relationships. Examples are more direct incentive compensation awards and financial statement insurance approaches. See, respectively, Incentive Systems to Promote Capital Market Gatekeeper Effectiveness and Financial Statement Insurance. There are several related professional qualifications in the field of financial audit including Certified Internal Auditor, Certified General Accountant, Chartered Certified Accountant, Chartered Accountant and Certified Public Accountant. ↑ "Auditing Standard No. 5". pcaobus.org. Retrieved 2016-04-07. 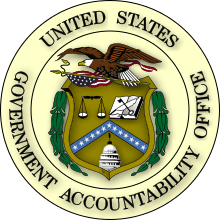 ↑ "AU 508 Reports on Audited Financial Statements". pcaobus.org. Retrieved 2016-04-07. ↑ CALCPA. (2010, November). Report: Auditing Missteps During the Economic Crisis. News & Trends, p. 4. ↑ Auditing and Assurance Vol.1. The Institute of Chartered Accountants of India. 2011. p. 3.4. ISBN 978-81-8441-135-5. Retrieved 27 August 2012. ↑ Mario Christodoulou (2011-03-30). "U.K. Auditors Criticized on Bank Crisis". Wall Street Journal. ↑ Denlinger, Craig. "Audit Costs". Retrieved 27 January 2014. ↑ "Audit Costs". Retrieved 15 April 2015. ↑ Commission, c=au;o=Australian Government;ou=Australian Government Australian Securities and Investments. "Audit quality - The role of directors and audit committees". asic.gov.au. Retrieved 2016-05-17. ↑ "National Audit Office (NAO)". www.nao.org.uk. Retrieved 2016-05-17. ↑ Office, Australian National Audit (2016-05-12). "Auditor-General and the Office". www.anao.gov.au. Retrieved 2016-05-17. ↑ "U.S. GAO - Our Seal". Gao.gov. 2008-09-29. Retrieved 2013-09-02. ↑ "Part 2". archive.treasury.gov.au. Retrieved 2016-05-17. ↑ "A Look Back at the Enron Case". FBI. Retrieved 2016-04-07. ↑ Stef, Scott,. "Tests of control & substantive tests". www.icas.com. Retrieved 2016-05-17. ↑ "Carrots for Vetogates: Incentive Systems to Promote Capital Market Gatekeeper Effectiveness by Lawrence A. Cunningham :: SSRN". Papers.ssrn.com. 2007-04-17. Retrieved 2013-09-02. ↑ "Choosing Gatekeepers: The Financial Statement Insurance Alternative to Auditor Liability by Lawrence A. Cunningham :: SSRN". Papers.ssrn.com. 2004-06-03. Retrieved 2013-09-02.